I'm back in the spectacular blogging universe after a long long while. Life had been a roller coaster ride in the last 6 months with travel sticking to nerves like a ghost and suitcase not letting me go away from it. With a small kiddo adjusting to all different places, cooking perhaps became second in anteriority, and other home making responsibilities took over to shadow back my culinary practice. Though I can't say that I didn't cook or experiment in all those days (coz I did, really!! ), but my camera was away, and more than that was the time issue to focus on the classy clicks. But people so rightly say, 'Favorable situations make you comfortable, but unfavorable ones make you stronger.' After fighting off all those adverse states, I find and feel myself much firmer and stronger. A lamington is a sponge cake of Australian origin in the shape of a cuboid, coated in a layer of traditionally chocolate icing then desiccated coconut. Lamingtons are sometimes served as two halves with a layer of cream and/or strawberry jam between, and are commonly found in South African and Australasian outlets such as cafes, lunch bars, bakeries, home industries and supermarkets. A raspberry variety is also common in New Zealand, while a lemon variety has been encountered in Australia. The chocolate coating is a thin mixture, into which cubes of sponge cake (one cookbook states 4 cm per side) are dipped, and the chocolate is absorbed into the outermost layers of the sponge where it sets. (Similarly, the strawberry jam or chocolate icing is absorbed into the sponge.) The cubes are then covered with coconut and left to set. Keep the baking square tin ready after greasing and dusting it with flour. Pre-heat the oven at 180 degrees Celsius for 10 minutes. For the traditional method, beat the sugar with malai/cream till it is fluffy. Sieve the maida/APF thrice along with Eno and salt. Fold in this maida/APF in the cream sugar mixture with light hands. Add in milk as required to keep the ribbon consistency. Drop in the vanilla essence and give a mix. Now transfer the cake batter into the baking square tin and bake for 20-30 minutes till a skewer/tooth-pick inserted at the centre comes out clean. Also, you can get to know that the cake has been baked by seeing the sides of the cake leaving the tin. Let it cool on the wire rack for 15-20 minutes. Cut into 16 equal squares/cubes. Refrigerate them for 2-4 hours for firmness. Now prepare the chocolate icing by taking the chocolate pieces, butter, chocolate sauce and milk either in a double boiler or in a microwavable bowl. Boil them till they melt completely. If microwaving, do not microwave for more than a minute at one time. Keep checking that the chocolate doesn't burn. Take a wide tray or plate with desiccated coconut spread on it. Now dip the cake squares in the molten chocolate icing and then wrap them with the dessicated coconut. Let them stand on a wire rack to set or refrigerate for 20 minutes. If you do not have 'Eno fruit salt' with you, you can use 1 tsp baking powder and 1/2 tsp baking soda in its place. If you wish, you can also mix all the ingredients together and go for an easy cake trial. If malai is not available, you can substitute that with butter, but then you need to add in more milk. For the ones who like the original egg Lamingtons can make the sponge cake with eggs and follow the rest of the procedure. You can also cut the cake square in two horizontal slices and jam it with the same chocolate icing or some other jam. Then you can pour the chocolate icing all over it and roll it in the coconut flakes. I used a spoon and then my hands to coat the icing over the squares. You can perhaps take your own way to get the coating on. If the chocolate icing looks thick, add in more warm milk. If you prefer sweeter icing, add in a spoonful of sugar as well. WOW!!! spongy cake with eno salt nice idea. NICE TO SEE YOU BACK...YUMMY RECIPE !! Yay! glad you're back! :) And an awesome recipe! Soft spongy cake...looks perfect...yummy lamingtons.. Absolutely love it. yummy. love the pics. Great comeback dish!! Looks so yummy...! welcome back!!!!!!!!!! 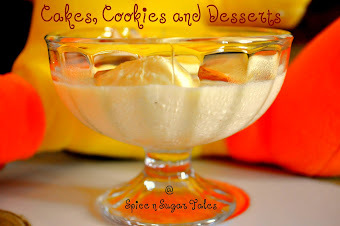 !lovely recipe........i have never tried this eggless version.....gorgeous clicks. Spongy cake...looks perfect and super tasty. New to me. welcome back..and Lamingtons looks gorgeous.....mouth watering....nice clicks..
Looks lovely, your sponge cake looks so perfect.. Isn't it great how these events keep us up to blogging. It's recently I joined blog hop and I push myself to blog for that at least even if I'm crazy busy with a hell lot of stuff. Wow what a lovely cake. Looks great. will try and use the cream tip next time. Is it okay if the cream has curd in it as mine usually does have curd as i use it to make butter.